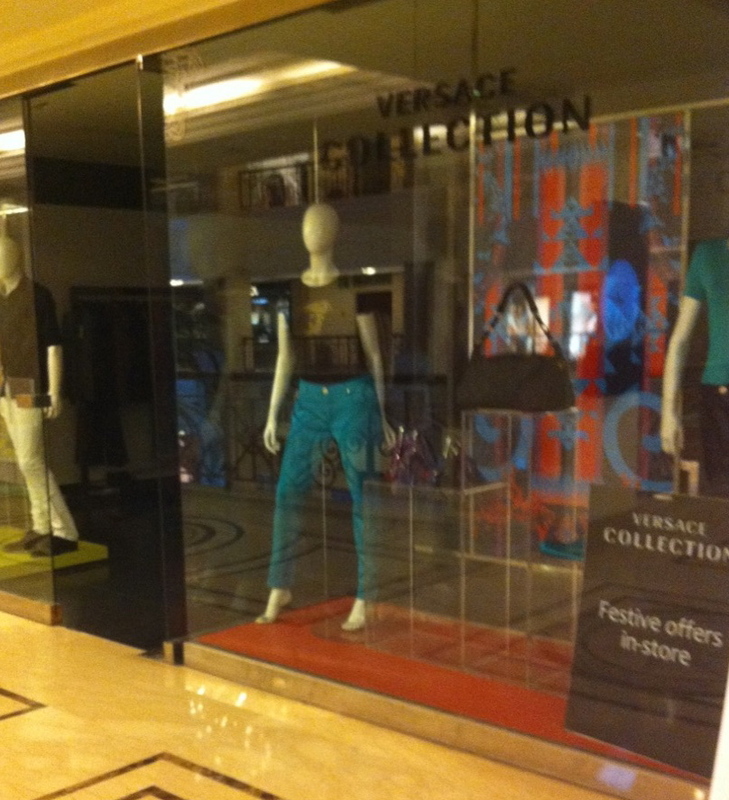 I was shocked out of my wits when while browsing through the stores at the DLF Emporio I found the Versace and the Corneliani stores in absolute darkness. No the stores weren’t closed. They were open and sales staff were around. Since Blues Clothing Company, the franchisee of Versace and Corneliani in India haven’t paid the rentals, their electricity has been cut-off by DLF Emporio. 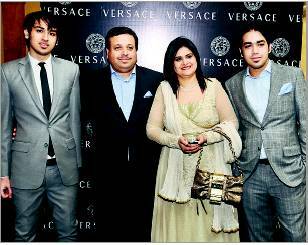 The fact that Versace and Corneliani, both are all set to part ways from Dinesh Sehgal headed Blues Clothing Company(BCC) is common news, I was still shocked to see BCC in such dire straits. 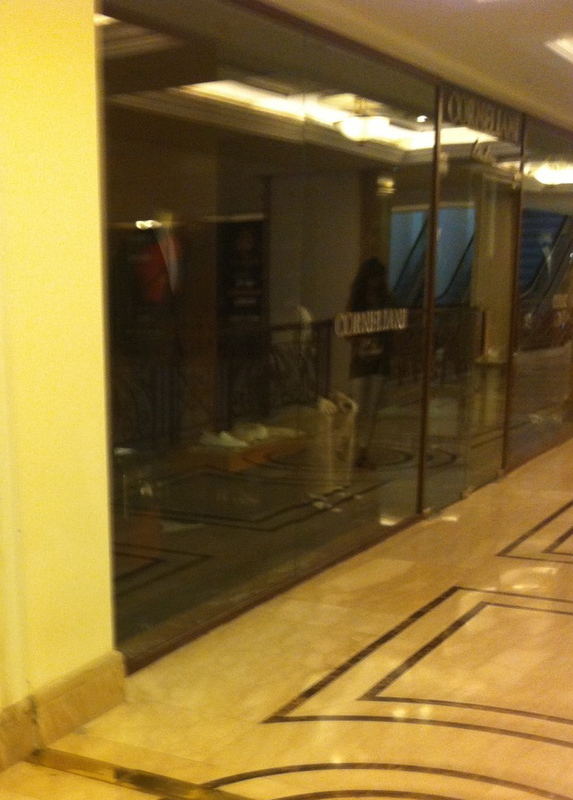 Come on, they should have shut down the stores as Emporio cut-off power supply from the 1st of May for rental defaults. The stores were open and staff were there but there wasn’t even a battery operated lamp or a simple candle lit in either stores. What business do the Sehgals wish to do in pitch darkness? In fact it is harming whatever goodwill or reputation they are left with. Lot of people have burnt their hands by jumping in to Luxury Retail Business. There are endless failure stories. Giants like DLF Group found it tough so wonder how modest retailers like Sehgal Brothers thought of pulling it off. Luxury Business has a long gestation period and it is only after 5-6 years that the franchisee can expect returns. I think even these mammoth brands are at fault. Most of the tie-ups have been done without any due-diligence and market investigation of the prospective franchisees. Luxury Retail is totally a different game and if Dinesh Sehgal thought that by selling Versace, Corneliani and Cadini suit-lengths he has mastered the business of handling luxury retail in India, he was wrong. The Luxury Houses and their high-nosed arrogance is also responsible for the gloom in Luxury Retail. To send a Memo the franchisees need approvals from the Headquarters so you can understand the (dis)trust factor among licensor and licensee and the resultant red-tapism. Foreign Luxury brands work with a very different mind-set which cannot be exported to India. Indian’s have a unique style of operating, which is far from how foreigners operate. Luxury retail can only work if it’s handled directly by the parent company. Licensee don’t know the abc of if it. LV is the only example of a very successful luxury brand operating in India. The rest are doomed if they continue in the manner.